I’ve been semi-busy for the last month, but I thought now might be a good time to sit down and tell you a little bit of what I’ve been up to. As TEFL volunteers, one of our responsibilities is to serve as English teachers in a program called STEP (Striving Towards English Proficiency). 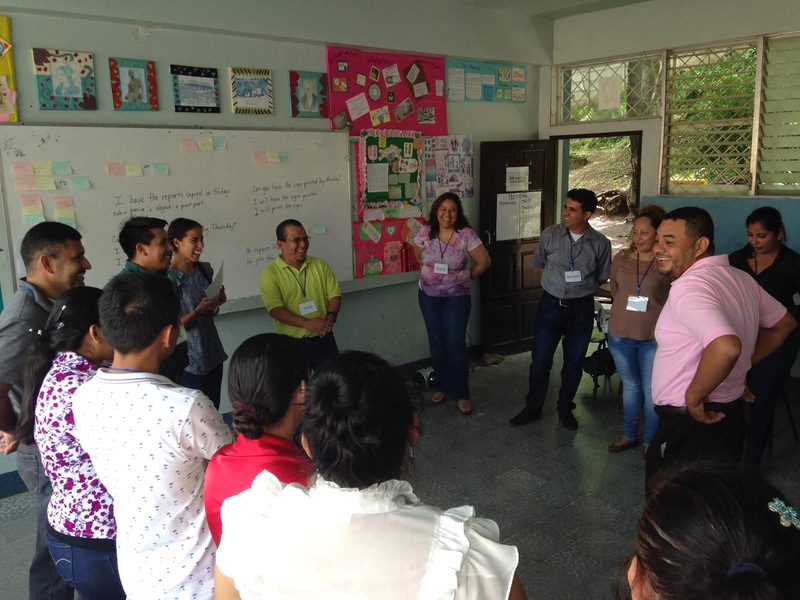 This program givesNicaraguan English teachers in different departments the opportunity to study English on the weekends so they can improve their English proficiency. Peace Corps Volunteers teach 2-12 classes per semester, depending on how close they live to the STEP site. Because I live in the department of Matagalpa, I was assigned to teach 3 classes in August and will teach 5 or 6 more between now and December. I teach the third level, so my class already has an intermediate high English proficiency. I’ve had so much fun, because we can have discussions completely in English, but it can also be a little challenging because I have to teach more complex grammar (some of which I’ve never had to think about because I’m a native speaker and it comes naturally for me). 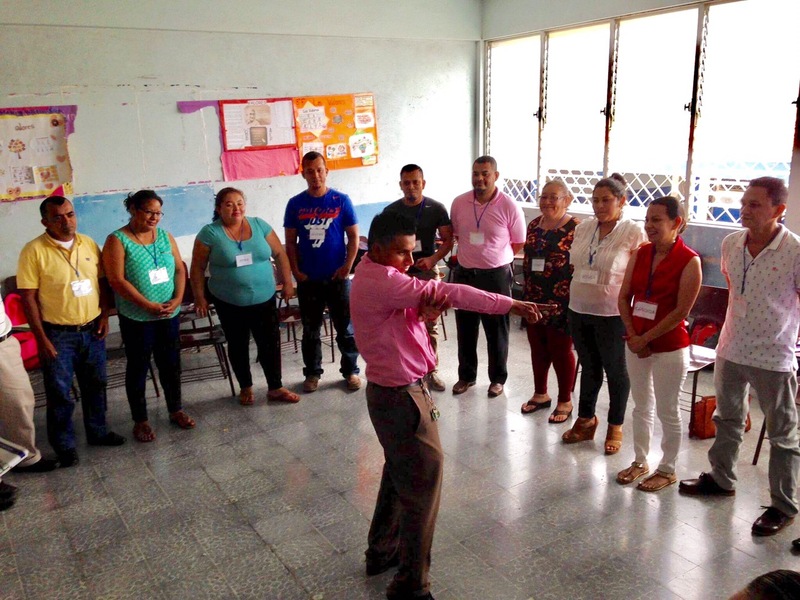 We are encouraged to use a lot of dinámicas, games, and different methods to teach the content. It’s more fun for all of us, and the students get ideas for activities they can implement in their own classrooms. It typically takes me a good 10 hours to plan for one day of STEP class, but I feel incredibly accomplished when the day is over and when my class does well on their tests. Here are a couple photos from my class last week. We have a lot of fun! For this program we teach adults and it is so much fun! They are all English teachers in the public schools, but English is their second language so they really want to grow and improve. It’s so much fun because they are all very motivated. During the week I teach in the public schools (7th-11th grade) and that is a different sort of challenge! Thanks for the update. Awesome work! One of my top ten favorite memories is of sprinting with Jasmine to the top of Notre Dame. I can so vividly recall the 400 narrow stairs and the pure elation of being at the top, admiring the bells and the gargoyles and the views of the city. I woke up this morning to the news of the fire, and since then I’ve been reflecting on that memory, what it felt like to adventure with my favorite person, and what it felt like to be 21 and recently graduated and clueless about the future but sure that I wanted it to include more of this—the feeling of freedom and joy and learning about the world by being there. This is all to say that places can root themselves into our hearts really deeply, and that I’m mourning the loss of a place that helped to shape my young adulthood. Also just want to throw out there how bummed I am that the camera memory card got corrupted in Paris and prevented us from taking more fotos. My phone says we climbed 76 flights of stairs. We ferried away from the tourist spots today and it was well worth it. The contents of this blog are mine personally and do not reflect the views of the United States Government or the Peace Corps.